The increasing popularity of online streaming services like Netflix, Amazon Prime and Hulu has changed the pattern of content consumption. Now, we can access our favorite shows and movies irrespective of our location. However, these services aren’t cheap to be exact. The entry-level subscription fee for Netflix costs 7.99 USD a month, while for Amazon Prime and Hulu, you need to spare at least $12.99 and $7.99 a month respectively. This is one of the primary reasons why millions of people use torrent sites. Currently ranking at 281 in Alexa Global Ranking, the Pirate Bay continues its reign as the top torrent site on the internet. 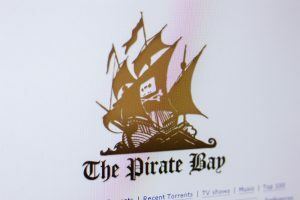 Since the banning of KickAss Torrents in 2017, The Pirate Bay has been the go-to place for most users, because of its diverse collection of torrents across movies, TV shows, software, games, songs and much more. Also, The Pirate Bay has plenty of seeds on their torrents, allowing the users to enjoy faster download. The simple interface allows you to browse through the torrents quite easily. Unfortunately, this site is blocked in some countries. However, you can use VPN services to unblock the site and unlock the door to entertainment. Even though The Pirate Bay is the most-preferred torrent site on the internet, 1337x.to has gained a lot of traffic lately, which allowed them to surpass The Pirate Bay on the Alexa Global Ranking (263). This website is way better than The Pirate Bay when you compare the user interfaces of both the sites. Also, it has a list of top 100 torrents for different categories, making it even easier for the users to find the most-downloaded torrents. Another great thing about 1337x.to is that it offers a trending section, where users can find the latest torrents that are gaining popularity across the internet. Ranking higher than both the aforementioned torrent sites in Alexa Global Ranking (208), YTS.am is the best place to find movie torrents on the internet. It offers torrents for HD quality movies, including Blu-ray and web-ripped versions of the movie. Most torrents on this site have a decent amount of seeds which offer faster downloading options. The domain of this site has changed recently, and if you aren’t able to access YTS.am, you can use YTS.ag to gain access to another website with the same features and enjoy the huge collection of movie torrents. Interestingly, the website is no longer associated with the original YTS/YIFY group ever since they discontinued their service. However, the website still manages to do great in the torrenting business. RARBG has changed the domain a few times in the recent times to avoid legal complications, which is part and parcel of involving in the torrenting business. However, the original domain –RARBG.to continues to hold a good rank (341) in the Alexa Global Ranking. Apart from offering healthy torrents to the users, this website also has a section for new trailers of movies and TV shows. The website has a top 10 list for various types of torrents, including movies, TV shows, anime, games, software and much more. In addition, users can also access the blog section at RARBG. 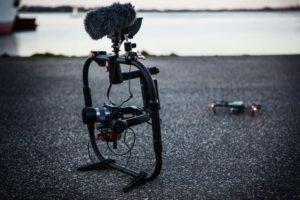 These blogs talk about various movies, TV shows and the latest news that can interest the users. This website has a distinctive feature that allows you to see the thumbnail (usually the cover or a screenshot) of the torrent file just by placing the cursor on it. This can help you to see if the torrent actually contains what you are looking for, without having to open the torrent page. Torrentz2.eu is basically a clone of Torrentz.eu that discontinued its services in 2016. Like its predecessor, Torrentz2.eu is also a torrent search engine that helps the users to find the desired torrents present on other torrent sites. What Google is to online information, Torrentz2.eu is to the torrents. In fact, the website is decently ranked in the Alexa Global Rankings (515). The MyTorrentz section on the website offers the most popular and trending torrents in categories. 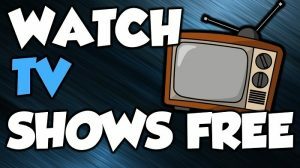 You can find categories like movies, TV shows, music, games and software, fresh and popular torrents, and the top torrents of the week. The best thing about this torrent website is that it offers multiple links to a particular torrent, and each of the links redirect to torrent sites like the ones mentioned above. So, if you cannot find the desired torrent on your favorite site, you can use this search engines to locate the torrent. EZTV.ag is a great choice for those who love to watch various TV shows and web series. EZTV is basically a release group that offered torrents for TV shows across various torrent sites in the past. Since they have launched their own torrent site, they have managed to do well and ranked well on Alexa Global Rankings. Recently, they have lost some ranks (currently standing at 2,238) for not being available in some countries. Interestingly, EZTV has no other torrent category rather than the TV shows. The website carries a basic look, featuring nothing more than the list of torrents and the information regarding the torrents. 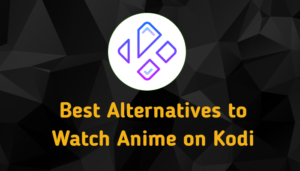 However, it allows users to create an account where they can save torrents as their favorites. Also, it has a “Countdown List” that features the upcoming torrent uploads. If you are looking for a content that is already uploaded, the “Calendar” section can be useful for you. Limetorrents is another highly ranked torrent site that covers almost every category of torrents. 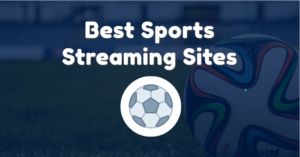 It offers a great number of healthy torrents which is one of the reasons why the website currently stands at 1,009 in the Alexa Global Rankings. 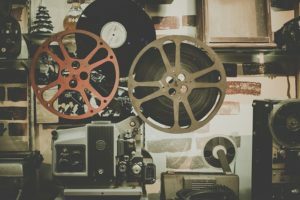 The website uploads the content quite regularly, allowing the users to find the updated torrents for movies, TV shows, software, games and much more. It has separate pages for top 100 trending torrents and categorizes the latest torrents uploaded on the website. Users can also create accounts in the website if they are interested in uploading torrents, sharing feedback, bookmarking the favorite torrents and exchanging messages with other users sharing the platform. Like most of the torrent websites, Limetorrents also offers a categorized list of torrents. Besides, it is easier to find verified torrent as they are marked with a star icon in front of the torrent listing. Zooqle is one of the newest torrent websites on the internet that has gained massive popularity in the torrenting community. In fact, it currently ranks 1,786 in the Alexa Global Rankings. In a short time, the website has managed to upload a great number of torrents on their site, which explains the rising popularity of the website. As a website, Zooqle.com leaves a good impression on the users with its smooth navigation and less number of intrusive advertisements. Zooqle.com helps the visitors to find movie torrents and TV shows torrents. However, you can also download other torrents like software, games and music. The website also features a vast number of sub-categories, allowing the users to find the desired torrents quite easily. Also, the website indexes more than 3 million verified torrents. Torrentdownloads.me is known for its extensive and well-organized torrent library. It is also one of the most well-designed torrent websites with easy to navigate features. This is one of the primary reasons why the website is steadily climbing up the Alexa Global Rankings (currently at 2,125). As mentioned, this website maintains a library of millions of torrents. In fact, the website has some torrents that you cannot find anywhere else. Since it is one of the reputed torrent websites on the internet, it might be blocked in some countries. However, you can always use VPN to unblock the website and download your favorite torrents. You can also find a great number of eBook torrents on this website. You can download the eBooks and clarify your queries. Needless to say, it will eliminate the need to opt for assignment help. Torlock.com was one of the most popular torrent sites. However, because of being blocked in several countries, the website’s ranking has hit a low. Currently, it ranks 6,231 in the Alexa Global Rankings. But, it is undoubtedly one of the best torrent websites on the Internet. The website allows you to find healthy torrents across various categories. Furthermore, you can spot the verified torrents separately on the website. It may not be the most well-designed torrent site in the list, but it does offer a massive torrent library where you can find your desired torrent, all thanks to the smooth navigation. Again, if this website is blocked in your country, you should use genuine VPNs to unlock the website. The list is not over yet! As mentioned earlier, downloading copyrighted content using torrent websites is illegal. And if you try to download movies before their release in the theatres, you may get into trouble. Using VPN you can hide your identity from the novices, but the government of your country can track your IP address, and take strict actions against you. Under any circumstance, it is wiser to buy copyrighted content from legit places. The TV shows and movies are broadcasted on television in time. You can wait for the telecast if you don’t want to get into trouble. Do not forget to stay safe while you make the most of entertainment. Author bio: Olaila Lee is a marketing expert who is working for an MNC for the past 6 years. She has been associated with Myassignmenthelp as an academic expert for a couple of years and provides homework help online and essay help services Apart from writing engaging blogs on marketing, tech and education trends, she likes hiking and surfing when not wooing her international clients with amazing marketing advice.